This insurance covers the excess on a Fleet Motor policy. 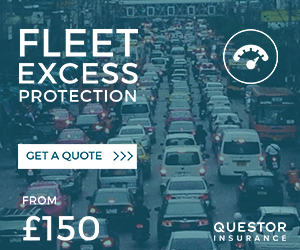 Insure a fleet of up to 30 vehicles against excess insurance charges from Questor Insurance. Questor also offer Car Hire Excess Waiver Insurance, Mini Bus Hire Excess Insurance, Van Hire Excess Insurance, Motor Home Hire Excess Insurance, Gadget Insurance and Travel Excess products - Find out more Here.